The Lowdown: It’s a big-budget B-movie with a strong cast. It’s also a blatant Alien rip-off. But it’s also well paced and suitably intense. 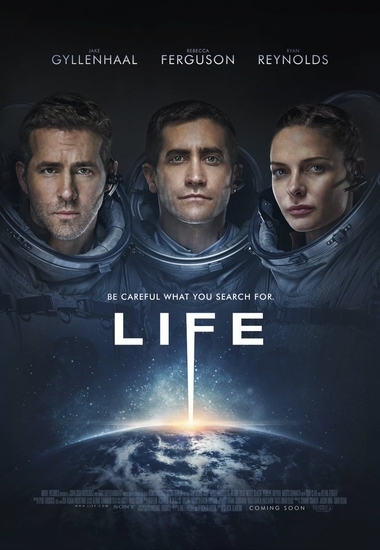 The title of the sci-fi thriller Life carries a deep irony which only becomes clear as the end credits roll. Though it feels like the victim of aggressive editing (to streamline it to a sleek 104 minutes), director Daniel Espinosa’s Life manages to entertain despite its near-total lack of originality. 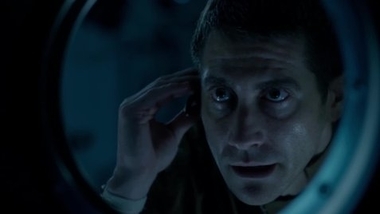 Espinosa (previously best known for the 2012 Denzel Washington thriller Safe House) has crafted a blatant Alien redux (with shades of Gravity for good measure) that initially feints at some “big ideas” but ultimately settles for scaring us. The crew of the International Space Station has cultivated a seemingly primitive life form from microbes found in a Martian soil sample. Biologist Hugh Derry (Ariyon Bakare, delivering the film’s most haunting performance) is obsessed with the creature, which responds to stimuli and appears to learn as it grows larger. Of course the gooey little thing, nicknamed Calvin, is quarantined in a sealed off lab. And of course it manages to breach that room once it’s strong enough to make mince meat out of its parents/captors. Certain elements of Life are confusing, implausible, or just flat out don’t make sense. 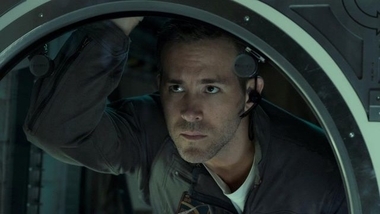 Dr. Miranda North (Rebecca Ferguson) is the architect of a series of “firewalls” (intended to safeguard any potentially dangerous lifeforms from ever reaching Earth’s surface), yet she doesn’t get in the way of crew members Rory Adams (Ryan Reynolds) and Dr. David Jordan (Jake Gyllenhaal) when they flagrantly ignore protocol. There’s a hinted-at psychic connection between Derry and Calvin that is never fully explored or clarified. And the timing of Calvin’s kills seems to be dictated by the needs of the plot rather than consistency. 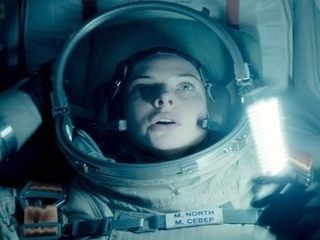 So Life is no classic, but despite its problems the film is sufficiently suspenseful. The slimy, jellyfish-like Calvin is an imaginatively designed monster. We’ve pretty much seen it all at this point in terms of unstoppable alien creatures who wreak havoc on humans, yet Calvin’s methods are supremely squirm-inducing (the creature’s earliest kills are all the queasier for what we don’t see). Even on a relatively limited budget ($58 million, a fraction of what this type of film usually costs), special effects are impressive throughout. Also assisting greatly in lifting Life a bit above the level of typical B-movie sci-fi thrillers is Jon Ekstrand’s intensely foreboding score, which greatly enhances the scare sequences. Closing note: if ever there was a film that needed a post-credits sequel tease, it’s Life – alas, nothing materializes after the final credits fade. No need to wait around like I did.